If you want to see someone swat madly at their hair, just send them down into a dark basement or seldom-opened shed to retrieve something. Obviously, this is the perfect reaction one would hope to achieve when decorating their home for Halloween! In my opinion, all Halloween decorations and props should be rated for “maximum scream effect” with labels indicating the likelihood of each product generating screams! If you want an over-the-top reaction from visitors to your home during Halloween, try making your own cobwebs this year. Making your own cobwebs to give the impression that certain spaces — inside or outside your home — have remained untouched for decades is easy! #1 – Use cotton balls. All you need is some good old-fashioned cotton balls and a can of aerosol hairspray to make spider webs that are wispy and lightweight. The larger the cotton balls, the easier the task will be. #2 – Use a cobweb shooter (also called a cobweb spinner). Complete with web solvent, this attaches to your own electric hand drill and spins away to make a storm of spider webs. #3 – Use a package of spider webbing OR cotton batting. #4 – Build a pneumatic cobweb gun. #5 – Use a cobweb gun AND web sticks. Right out of the box, it’s ready to spin as many spider webs as you need! Cobweb guns make great looking cobwebs for both indoor and outdoor Halloween decorating. #6 – Use Cobwebs in a Can. #7 – Use Spider Web on a Roll. This is web-like material that you unroll and wrap around your room as a decorative border. Or place it in the entryway to cover large areas with realistic webs. 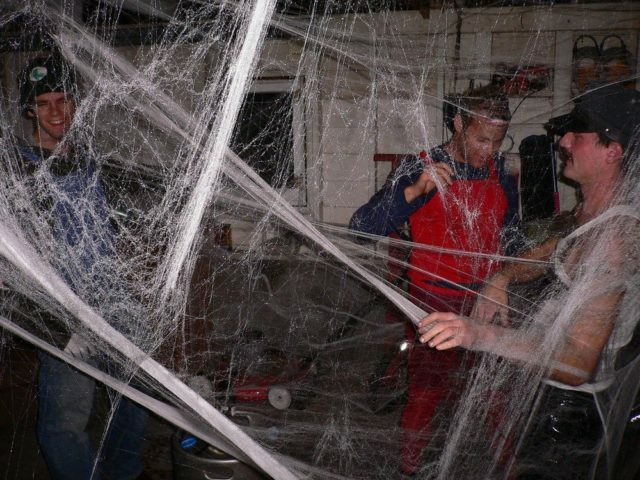 #8 – Use giant spider webs. These can be draped over things or stuck into corners. They have a different texture and feel to them than the air-blown cobwebs do. 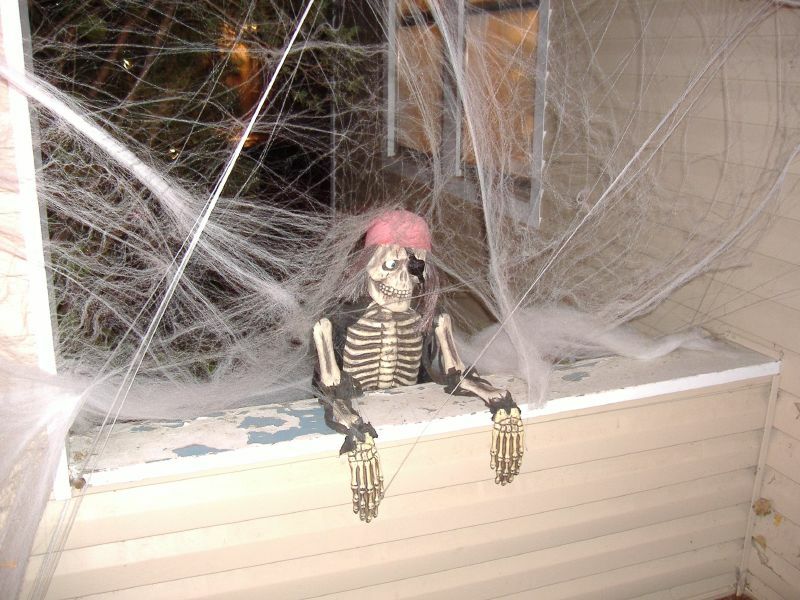 Spider webs are just one of the ways that you can go all out when you’re decorating your home for Halloween. Don’t forget to check your local craft stores and department stores for creepy cobwebs and slimy spider webs of all shapes and sizes. Sometimes you need to see and feel them to know which style you want. …And don’t forget the spiders!